"While today’s borders seem to be fading more due to cultural access and technology, new lines are also drawn as history repeats and new empires develop. The ebb and flow of cultures moving toward and away from each other has always invited a certain level of tension in to the human story as it asks us to change and adapt. My work focuses on the human experience one-by-one through encaustic portraiture. I work to bring forth the soul and spirit of a subject so we can look closely into the face of another and pass over the divides that distance and media create. I was once told about a course that all first-year medical students and Stanford University were required to take that asked them to study one piece of art for a whole semester in order to teach them the power of observation. I can’t think of a class I would rather take or that I am more suited for. I believe that through closer observation we build intimacy and understand more deeply. My work not only fulfills my curiosity about history, culture and civilization, but strives to illuminate how humans undergo struggle and adapt to change while maintaining their origins, values and belief systems. In my process, I come to a point when looking into the eyes of another, I am looking into myself. 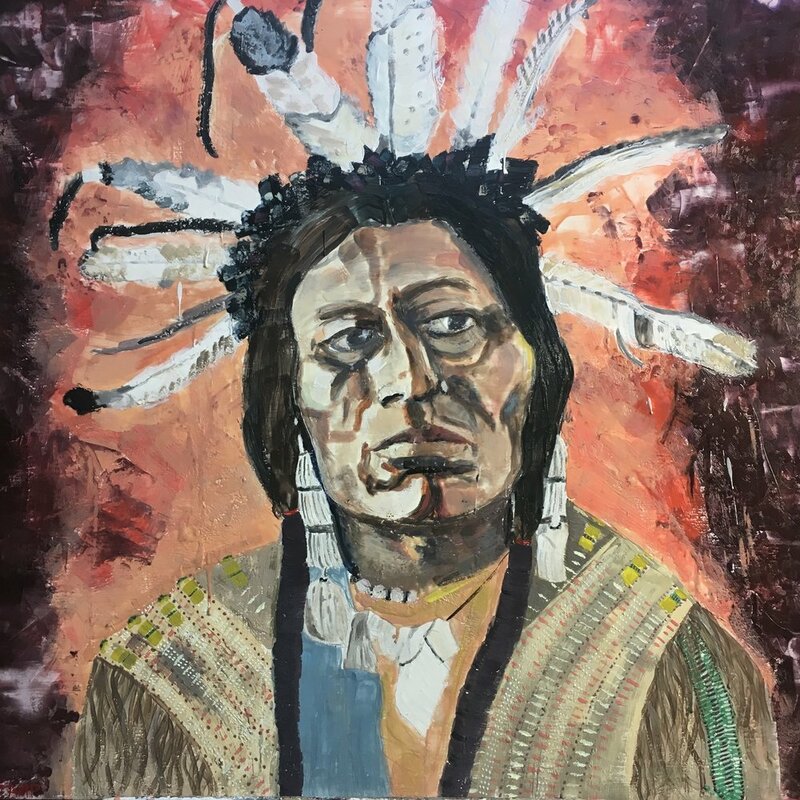 It is my hope that by bringing forth detail about the subjects I paint, viewers can distill generalizations of other cultures down to the specific human they are looking at. My love of working with wax began first with a batik class I took as a child and later as a jewelry designer with lost wax castings. The ancient roots of encasustic and the earthly, tactile form it takes on, lends itself well to my subject matter and the purpose of my work."